You finally found the one....now, you found the band! We love working closely with you to customize the perfect entertainment experience. 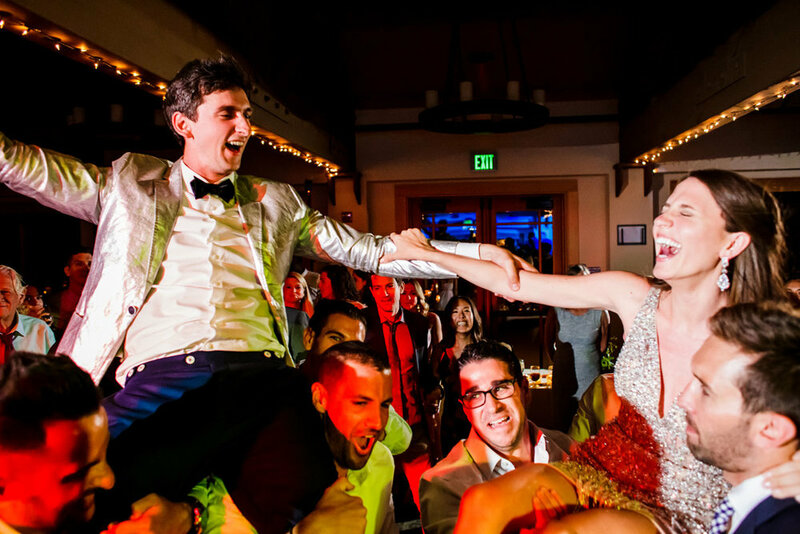 Whether you are getting married at a luxurious hotel ballroom, or a small vineyard, we have all your entertainment needs covered. We can't wait to get the party started for you! 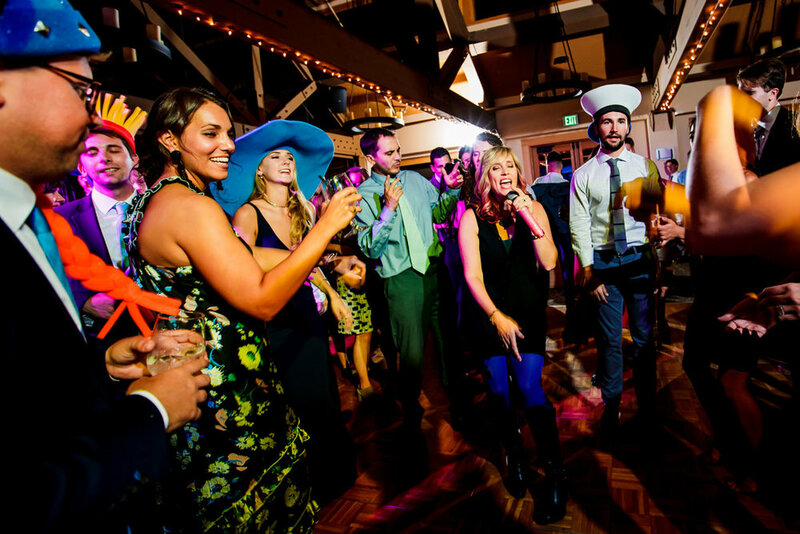 Cover Me Badd is proud to be a part of over 111 weddings to date, and our goal is to make planning wedding entertainment easy, stress free, and fun. Here is a quick summary of some of the various services we offer to help you have an amazing day! 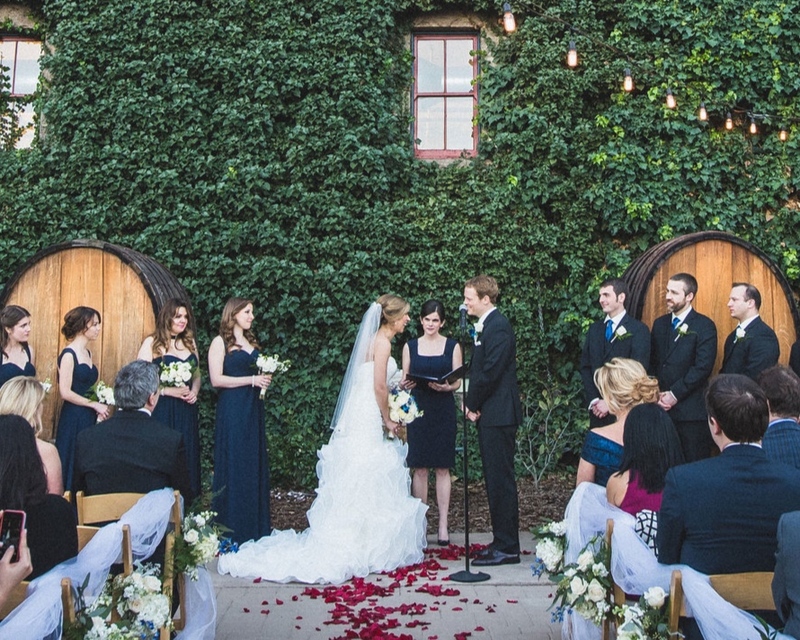 Your ceremony sets the tone for your entire event, and we want to make sure you have a great experience from the first minute guests arrive. We provide a separate sound system with wireless lapel and handheld microphones so that you and your guests can hear your vows clearly. 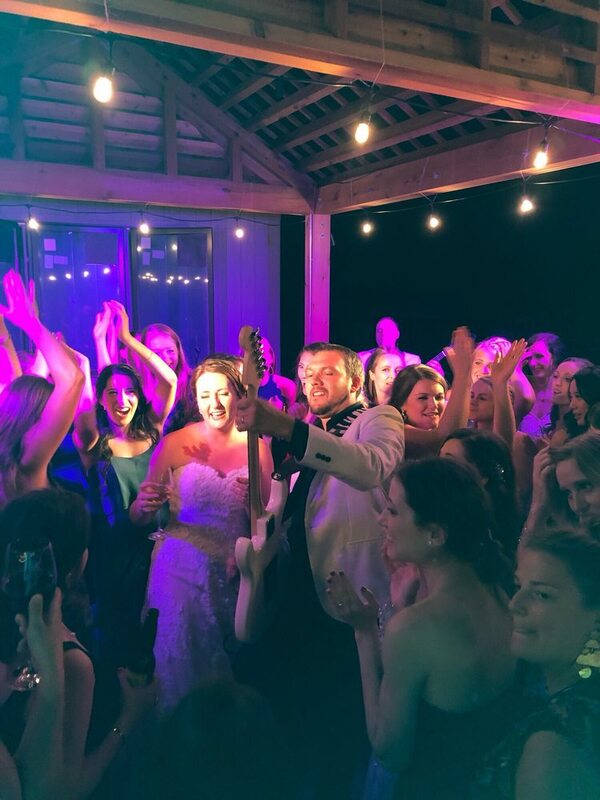 We can either offer DJ music or 2 live acoustic guitarists while guests arrive and for your processional. For cocktail and dinner hours, we provide customized DJ playlists that help create the perfect backdrop to your day. Our tasteful emcee will make all the appropriate wedding announcements such as wedding party intros, toasts, cake cutting, first dance, parent dances, and more. We work closely with you during the planning stage to make sure everything is covered in advance. The best man just gave his toast. You just shared your first dance as husband and wife. Now.....LET'S PARTY! When Cover Me Badd takes the stage, you can expect a packed dance floor from start to finish. Our popular song list and HIGH ENERGY performance instantly ignites the crowd, and we keep the excitement going until the very last song.